"I wouldn't swap him for anything else in the race though and with the form he's in at the moment anything is possible." He has come out of Cheltenham in good form. Barry (Geraghty) was brilliant on him in the Pertemps and hopefully he can get a similar tune out of him here. Obviously he has gone up in the weights since Cheltenham and he faces no easy task of top weight but he's a classy type of horse as he showed when winning at Cheltenham and I don't think that weight will be a problem to him. If he turns up in the same form that he did at Cheltenham he should give a good account of himself. He's a lovely horse who I've been thrilled with since he came to us. As a winning point-to-pointer you'd expect him to come into his own over three miles but he actually has quite a bit of pace and he has looked quite at home over two miles in Ireland. In three runs he has established himself as quite a decent novice hurdles and I do think that there could be more to come from him, particularly over this trip. Whether he is up to this grade time will tell but he has done nothing but improve with racing and he is well entitled to take his chance. I'd give him an each-way shout. Unfortunately it just didn't happen for her at Cheltenham where she came back from the Champion Hurdle with a bad scope. She just ran no race whatsoever in the Champion Hurdle and I knew we were in trouble when she flattened the second hurdle. Her run was just too bad to be true and I think we can draw a line through what was a very rare below par performance from her. Since Cheltenham she has been in great form and she was so well in herself at the start of the week that we felt it was worth letting her take her chance, particularly as she thrives on her racing and she produced one of the best performances of her career at this meeting a few years ago when she won the juvenile hurdle by a street. 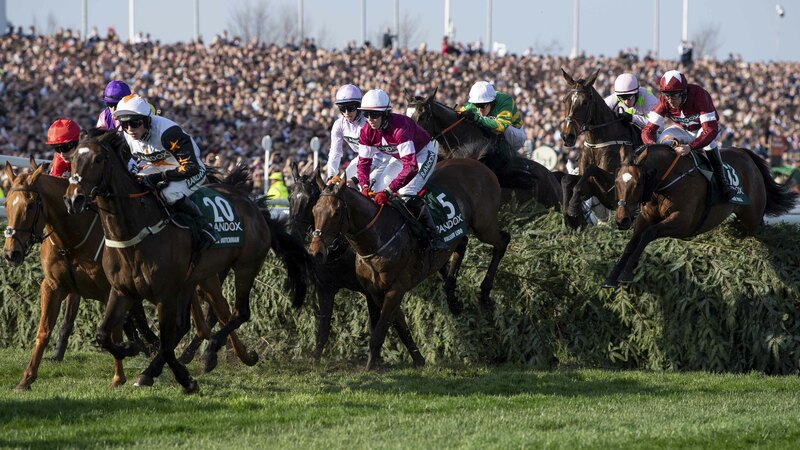 Overall she has had a brilliant season over a whole range of trips and if she hadn't been to Cheltenham you'd be coming here full of confidence and I know that if the real Apple's Jade turns up she will take a lot of beating. What can I say about him? He's just the most amazing little horse and he's probably better than ever this season. 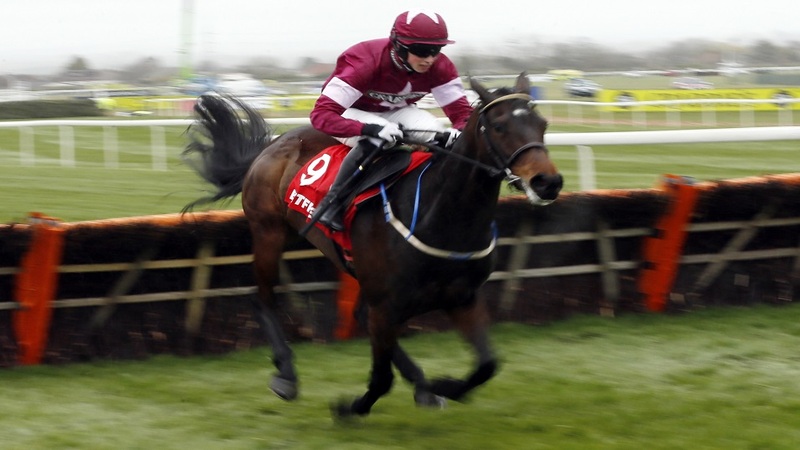 He was very good when winning the Boyne Hurdle at Navan and at Cheltenham he was just amazing. He came out of Cheltenham in great shape and I'm delighted with the form he's in and you'd have to be hopeful about his chances given how he took to the National fences last season. He's got more weight this time and only two horses in the last century have won back to back Nationals so it's going to be a huge ask to win the race again. I wouldn't swap him for anything else in the race though and with the form he's in at the moment anything is possible. I would just like to see the ground dry out a little between now and Saturday afternoon. On his day he is a very smart staying chaser as he showed when winning last season's Troytown at Navan. The problem we have had with him this season is the ground. Ideally he wants soft ground and he just hasn't had it apart from his prep run for this at Down Royal last month when he was second to Jury Duty. He stays very well and he's a sound jumper so those sort of qualities will help him in the National and the rain that fell on Thursday will certainly help him. In the last couple of seasons his form has tailed off in the spring so with that in mind we have kept him fresh for this race since he won the Grand National Trial at Punchestown a couple of months ago. He is a strong stayer and a good jumper and his Punchestown run showed he was back to the form he showed early on as a novice chaser when his runs included a very good effort behind Monalee at Leopardstown and a Grade 2 win at Limerick. For a big horse he does like a bit of nice ground so conditions look ideal for him at the moment. I think he's a pretty solid contender. On his day he is a very classy horse and he was only beaten 10 lengths by Un De Sceaux and Douvan in a Grade 1 over two miles at Punchestown at the end of last season. He has just struggled a bit this season but I think he now wants to go longer trip. He enjoyed stepping up to three miles over hurdles lately and he showed up very well in the Pertemps Final at Cheltenham last month when he was fifth to Sire Du Berlais. His stamina over this trip is the main concern but if that held up I think that he could run a big race and he might represent some each value for those looking for horses at a big price. 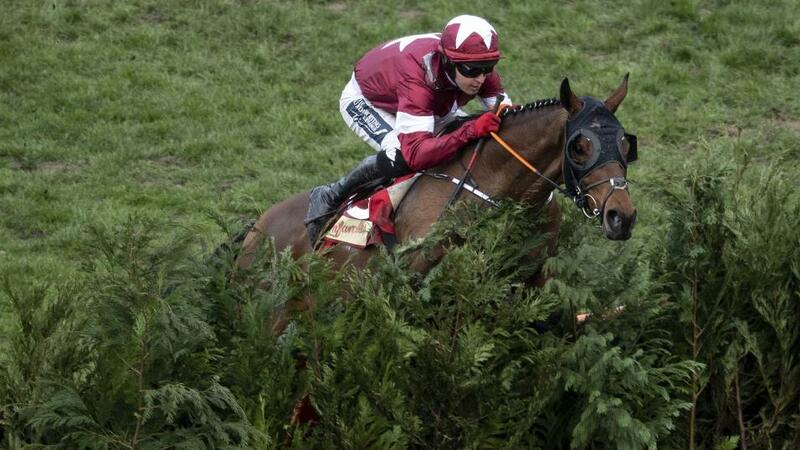 He is looking to win his second Grand National of the season having won the American Grand National in the autumn. Early on last season I thought of him as a National type and by the end of last season I wasn't sure whether three miles was his trip but he won nicely over an extended three miles at Down Royal last time. Whether his stamina will hold up over this trip is another matter but with a trouble free run I'd be expecting him to be going nicely with around five to jump and it's a question of whether he will be able to last home from there. He's in very good form. The ground hasn't been in his favour this season and he is another that I would like to see some rain for. On his last couple of runs he wouldn't look the most obvious contender but he isn't one to underestimate as he actually shaped up well in the Becher Chase here in December only to get very tired on his first run since April 2017. At Cheltenham last time he didn't run too badly either and this sort of stamina test is probably what he wants and needs at this stage of his career. He was a high class handicap chaser a couple of seasons ago and if he can get back to the form he will give a good account of himself. He is not the most predictable and he has just struggled a bit since going up in the weights for winning the Thyetes Chase last season. He does have his own ideas about things but I think he could really take to Aintree and if this test sets him alight anything is possible. Also he will love this trip and the way he finished out over an extended three miles in a Grade 1 at Punchestown at the end of last season would suggest he will relish this stamina test. His last run in the Leinster National was his most encouraging run of the season and he might just be coming into form at the right time. He won the Martin Pipe at Cheltenham last season and started out over fences with some reasonable efforts but his last few runs have been disappointing. He will like the trip and the ground and hopefully he can get back to the form that saw him run well in a Grade 1 won by Delta Work at Christmas but overall I would say that he's got his work cut out for him here. If you discount his last run at Cheltenham, where he made a bad mistake at the wrong time, he has prospects. He ran well in the National Trial at Punchestown and he also showed up well in a couple of decent handicaps earlier in the season and those efforts point to him being able to make his presence felt here. He won last season's Irish Grand National which is usually a very good guide to this race and I think he is weighted to win another good prize over fences. Off a nice, light weight I think he could give J.J. Slevin a great spin around. 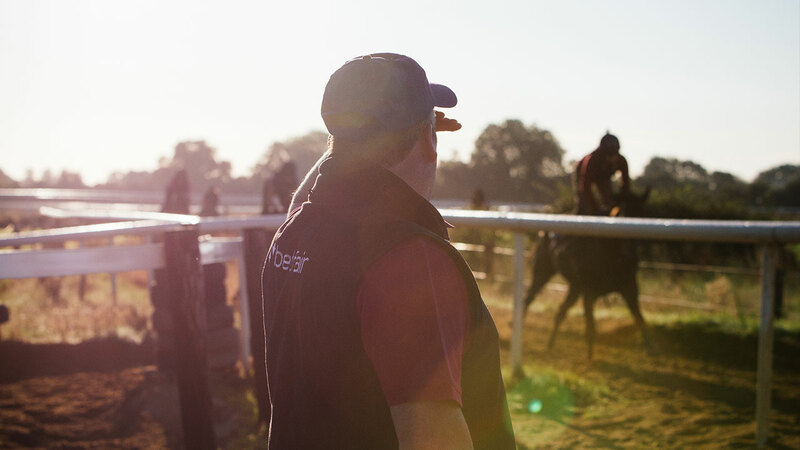 There is hardly a horse in the race who will enjoy this stamina test more. Ideally I would prefer the ground to be slower for him and I just hope he doesn't get too far behind as I know that when it comes to the last mile of this race nothing will be finishing better. How he takes to Aintree is another question as he is not the biggest of horses but if he can get around and stay in touch he could surprise a few. You only need to look at how he has finished out his last few races to realise how much he will enjoy the trip. He ran a brilliant race in this last to finish third to Tiger Roll. He's a year older now and he hasn't quite been in the same form this season but these big handicap chases have always brought out the best in him. I know he struggled in the cross country at Cheltenham last time but over the last couple weeks he's been in the best form at home that he's been in all season and I'd be expecting a season's best effort from him. He's had a good first season over hurdles and has held his own against some very smart juveniles. On his last start he finished in midfield in the Fred Winter at Cheltenham but I thought that he actually ran better than his final position would suggest. I think he will be able to hold his own in decent handicaps but I would be concerned about the ground as he wants good ground to be at his best. He was in great form in the early part of the season but he has just been struggling to get back to that form since he returned from a break. I'm happy with how he is going at home and he is working like a horse who should be able to step forward on what he has shown lately but the rain that fell on Thursday is a concern as he wants better ground. He might be best watched.